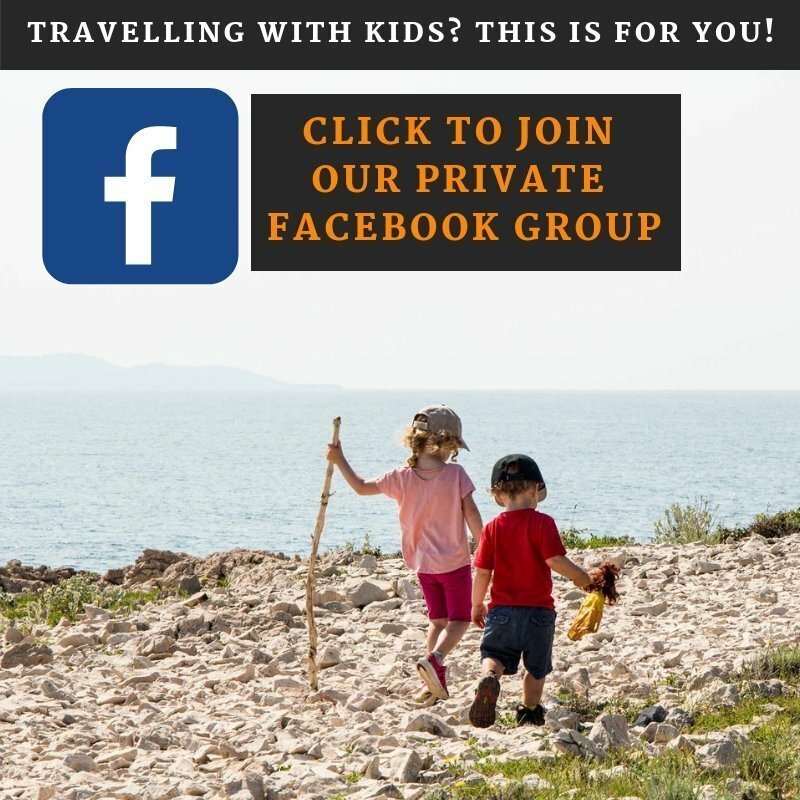 Prague is a wonderful place to travel with your family. 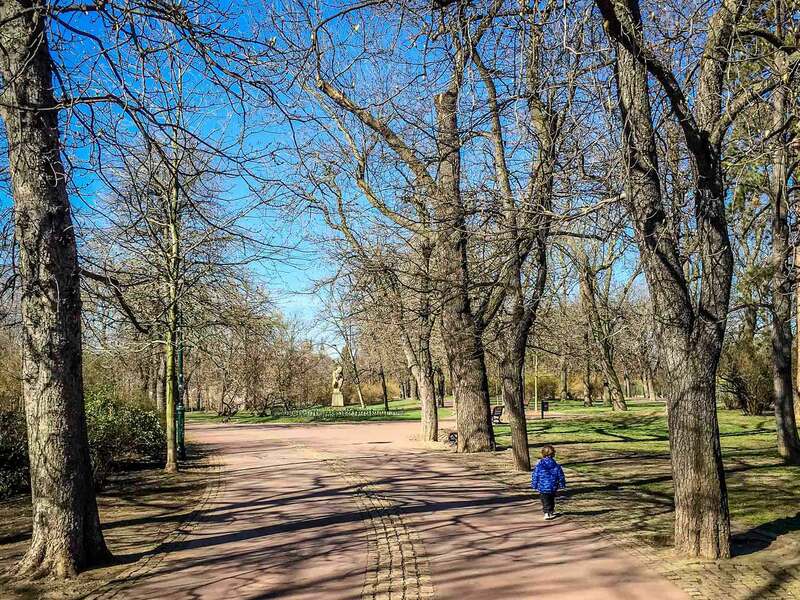 Not only does it have amazing history, it also has plenty of green space and a beautiful, tranquil river winding through the historic town center. 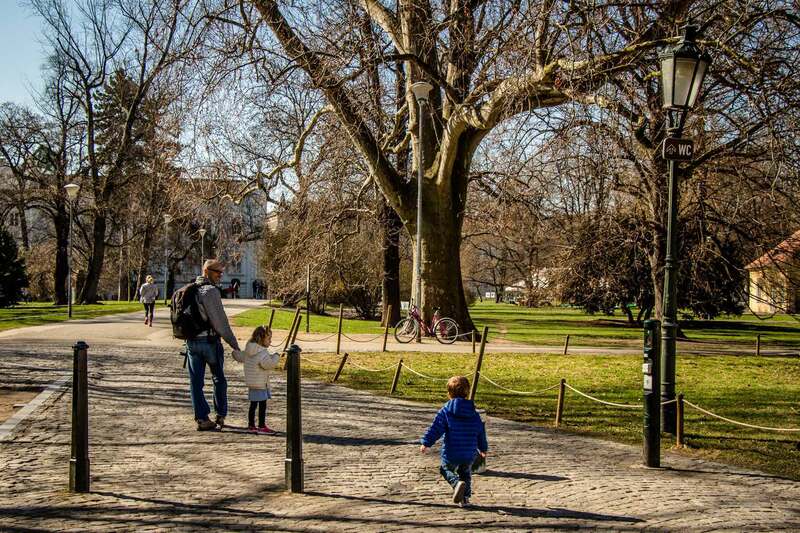 If you are like us, we like to balance out our Prague sightseeing with a little outdoor exercise and play time with the kids. 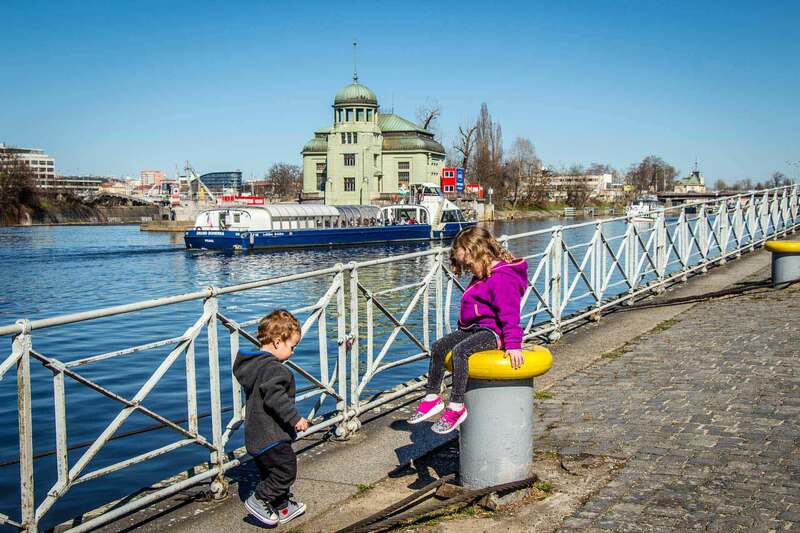 Letna Park hugs the north side of the Vltava River, right above the historic town center. The park begins as a steep hill, but soon levels out into a nice, easily walkable area up top. We crossed the river from Old Town at Stefanikuv Most and immediately began walking up a pathway into the park. The paths into the park aren’t too steep, but you can elect to take stairs if you wish to get to the top faster. Once you get to the top of the park, it becomes a long flat path popular with joggers and off-leash dog walkers. The park has lots of trees and grassy areas and is home to lots of birds and funny little squirrels with spiky head hair. The park had at least two playgrounds in it and tons of park benches for enjoying views, snacks, changing diapers etc. 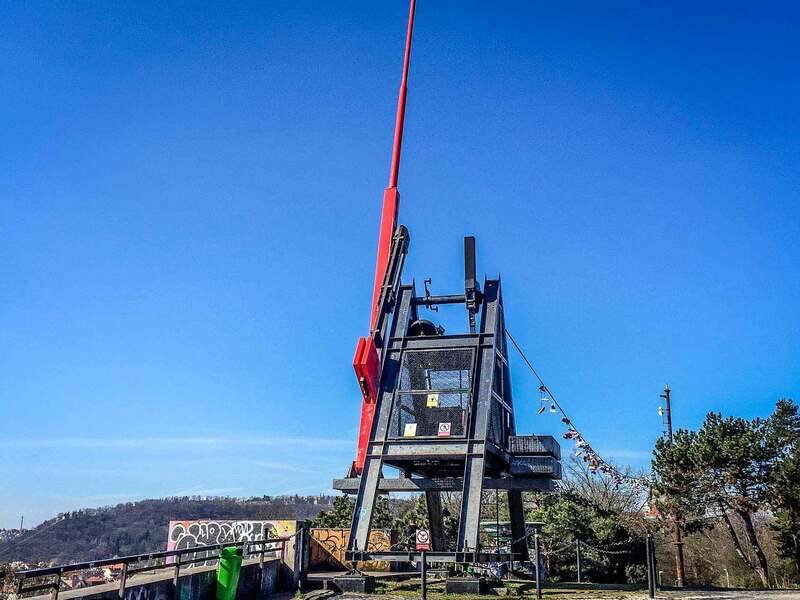 One of the main attractions of the park is the giant 75′ tall working metronome. The metronome occupies the spot where a massive statue of Joseph Stalin used to be. It’s located in a plaza with sweeping views of the city below. The metronome is kinda quirky – I mean… it’s a giant metronome… but it’s fun and the kids had a lot of fun running and climbing stuff all around the plaza. 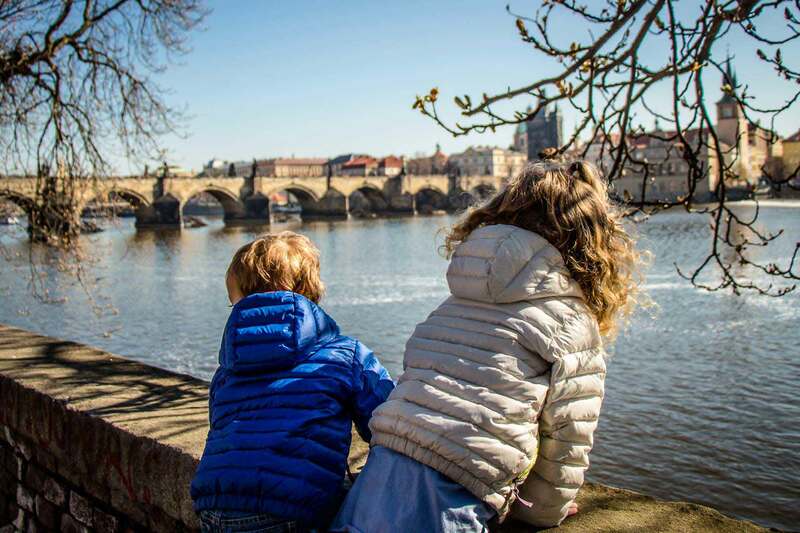 The Vltava River runs through the heart of Prague. If you need to cover a lot of distance on foot and wish to avoid the crowds, there is a very nice walkway which runs along the length of the river throughout Old Town. During our 6 days in Prague we walked along the river many times, from the Stefanikuv most bridge to the Manvesuv most bridge and from the Jiraskuv most bridge to the Zeleznicni most bridge. The pathway along the river is much cleaner than the one in Rome, although to be fair, it wasn’t spotless. Our son had a great time collecting bottle caps etc. that he found along the way. There are dedicated bike lanes in some portions, and the bikers seemed careful and courteous. There were no cars, aside from the odd taxi. The kids had fun running along, chasing pigeons and looking at the hungry ducks and swans which always swim up for a closer look in hopes of some food. If you are interested in taking a tourist boat cruise on the river, you’ll have no problem finding one anywhere up and down the river. 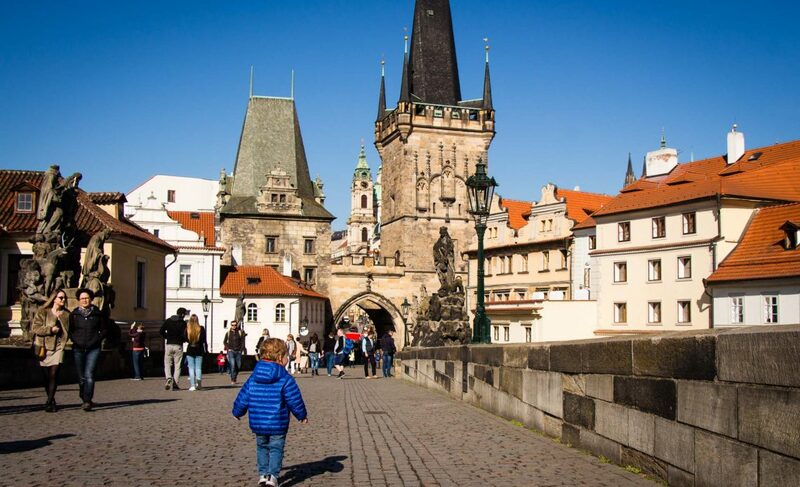 Walking across the Charles Bridge is an essential part of your Prague experience. Be sure to get there early though as the crowds get huge by mid-day. We got there around 9:30am and had plenty of space to have a fun game of tag as we made our way across. Starting in the Prague Old Town, the walk onto the bridge begins by going through a tower, which makes it a pretty cool experience right off the bat. The bridge is lined with many historic statues on both sides and offers nice views of the other bridges and the surrounding buildings. The bridge is fairly long and was an enjoyable walk. I expect most people end their walk at the other end of the bridge, but it doesn’t have to stop there. The end of the bridge crosses over Kampa Island and into Lesser Town, a very charming neighborhood in its own right. After the bridge ends, we turned right and looped around under the Charles Bridge. The spot where you go under the bridge is near a highly photogenic canal. There’s also a good spot to sneak over to the river’s edge to take pictures of the Charles Bridge itself. Once you cross under the Charles Bridge you walk through a small, yet charming shopping street before hitting the park. The park has lots of grass, trees and benches by the river with nice views of the Charles Bridge. After stopping for a riverside snack, the kids climbed on the riverbank wall before we walked to the other end of the park. We stopped and admired a few really interesting giant, naked baby sculptures. 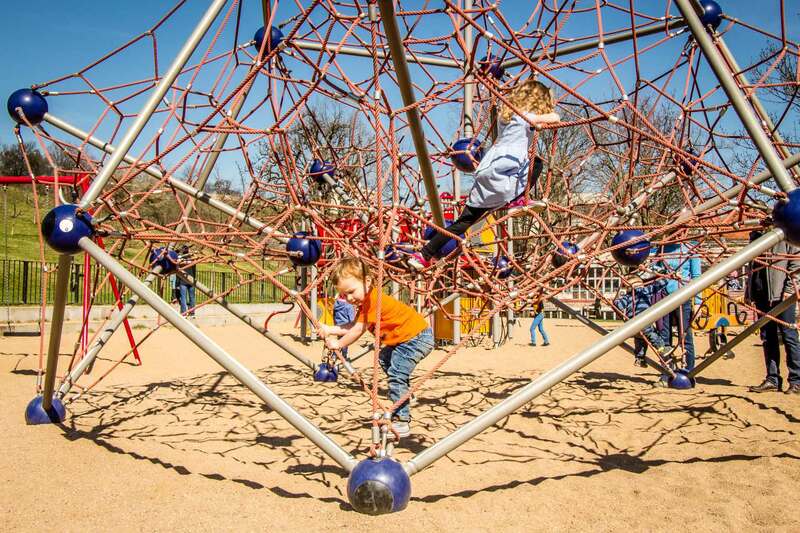 Yup – it’s as interesting as it sounds and is worth a trip to the park. Similar to Letna Park, Petrin Park occupies a large hill on the west side of the river. We visited Petrin after Kampa Island, so we entered it from Vitezna. We stopped to take some pictures of some the somewhat disturbing statues of The Memorial to the Victims of Communism. A short walk north revealed the pathway into the park. There was a large playground near the entrance, so we stopped and let the kids play for around 15 minutes. We put them back in the carriers for the walk up the hill; it was a reasonable incline for the walk, never getting overly hard, but it required an effort to get up. It was early spring and the trees were mostly bare, revealing some nice views of the city below. When we got to the top, the section by the little Eiffel Tower observation deck was quite ugly and unappealing to be honest, but to be fair it seemed like there were a lot of renovations going on. We elected not to climb the extra 300+ steps for the observation tower and walked to some benches in the Rose Garden for lunch. We were too early in the season, but the rose garden was really big and you could tell it would be really nice in season. 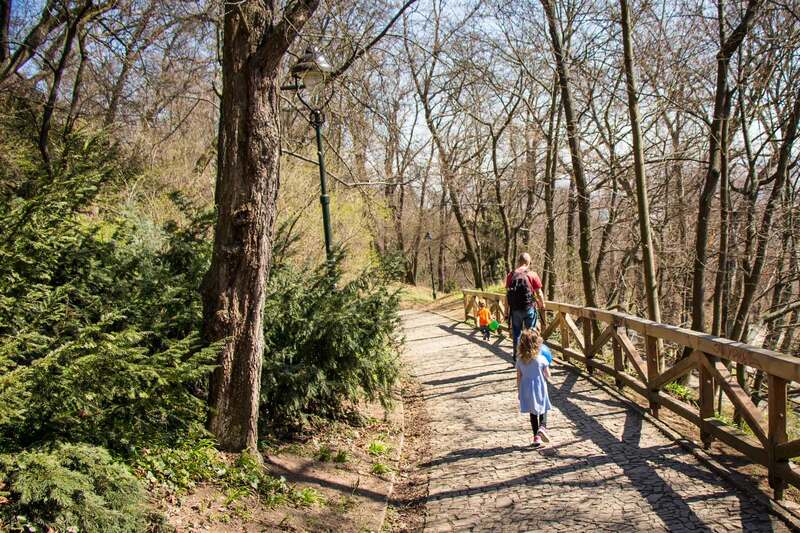 The park south of the funicular is the nicer half of Petrin Park. There were less people, the paths were nicer, there were more trees and there were even a few lakes. We passed a really cool old church on our way down, before stopping at yet another fun playground to let the kids play a while longer. 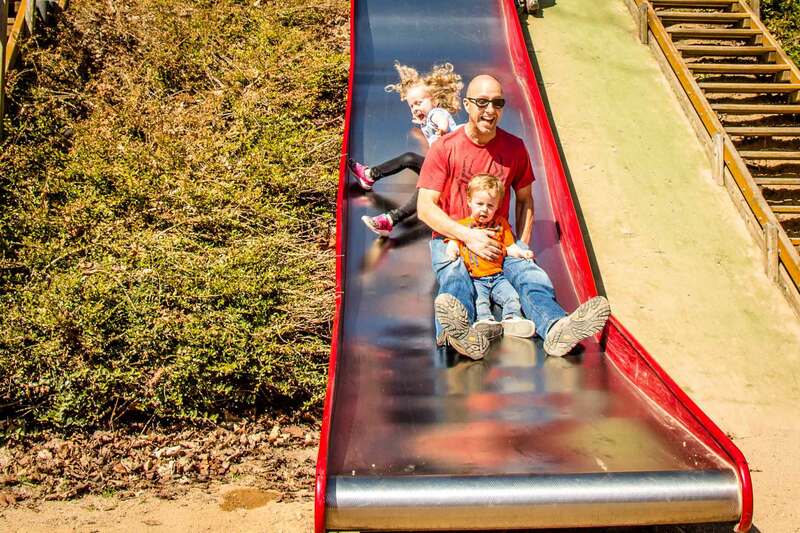 The playground was built into the side of the hill with many slides taking advantage of the natural setting. Watch for big frogs in this part of the park – we saw a mother carrying a baby on her back. 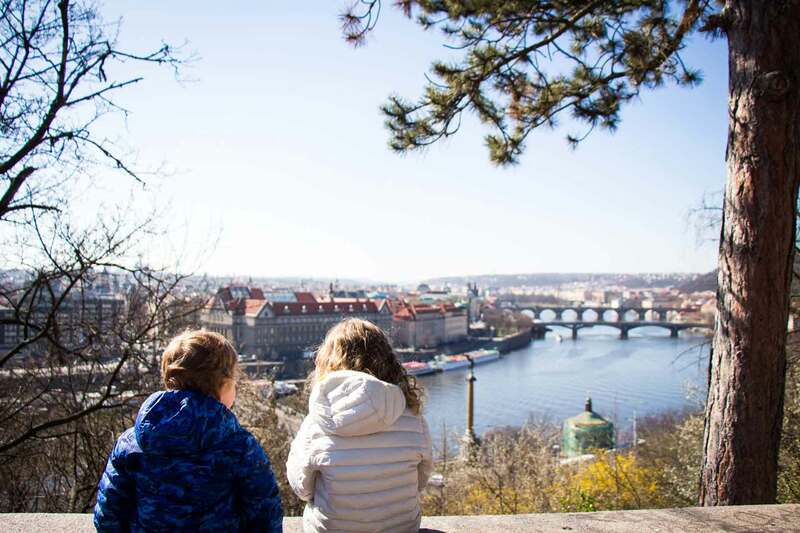 Today we did portions of the Vysehrad walk which was recommended to us by Prague City Tourism. 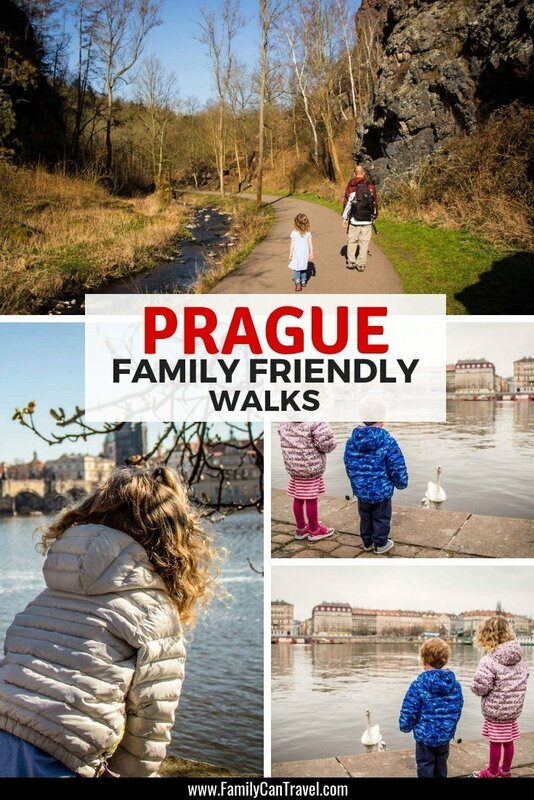 Details and maps are found within in the “5 Prague Walks” brochure you can pick up at their office. We started by walking a few minutes from the metro station to the Dancing House down by the river on Resslova. These unique buildings are worth a look if you have the time to spare. From there we continued our walk along the Vltava River until we reached the train bridge, Zeleznicni most. The walk along the river is a fun one; it’s wide, well maintained and used quite a bit by joggers and cyclists. There were lots of well-fed swans along this stretch who approached us every time we neared the shoreline. 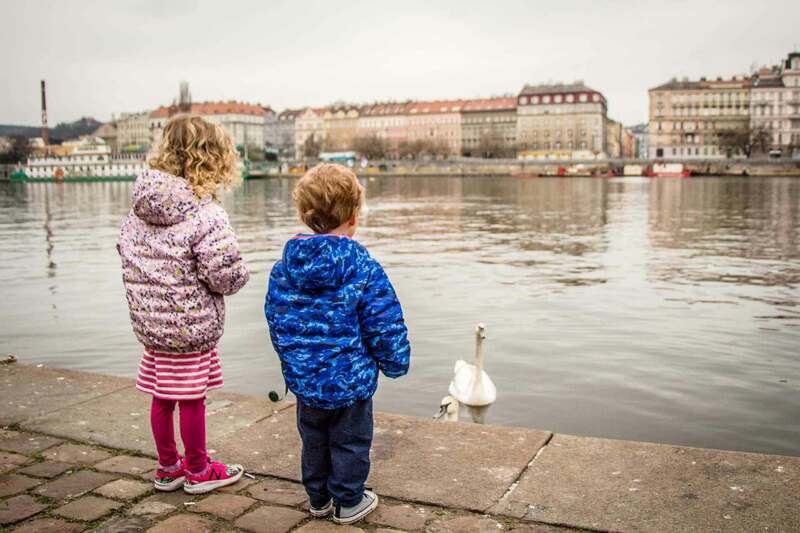 We don’t get many swans back home, so the kids thought this was great. 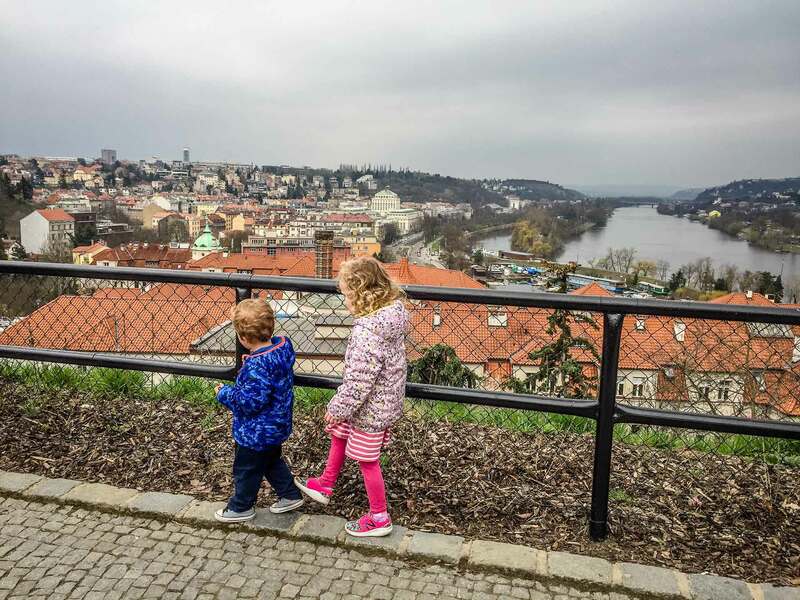 Once we reached the train bridge we turned inland and started walking up a nice treed hill to reach Vysehrad, a fortified castle built in the 10th century. Within the confines of the fortress are beautiful pathways with sweeping views of the river and the city, the towering Basilica of St. Peter and Paul, a very interesting historic cemetery and large parks with looming statues. 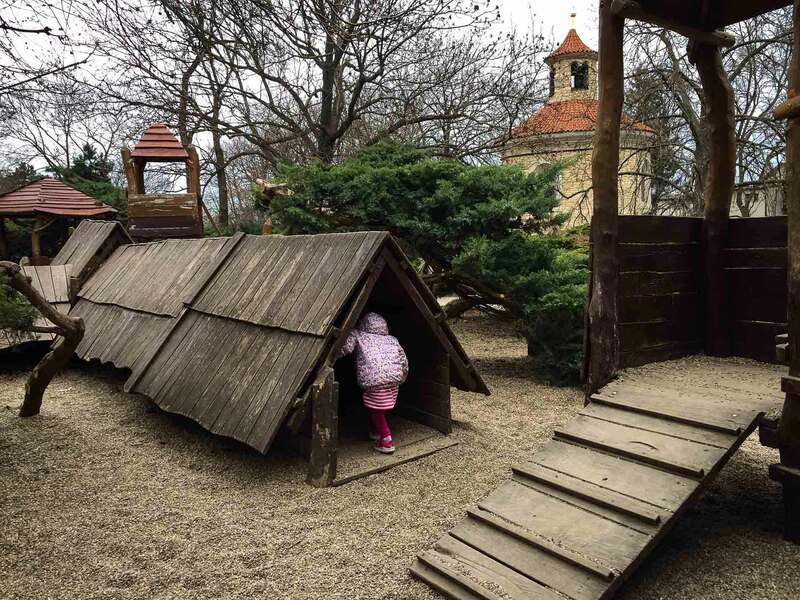 The kids also had a great time at the large wooden playground, which was inspired by Czech legends. There were lots of tunnels, bridges, zip lines, etc. for the kids to play on. 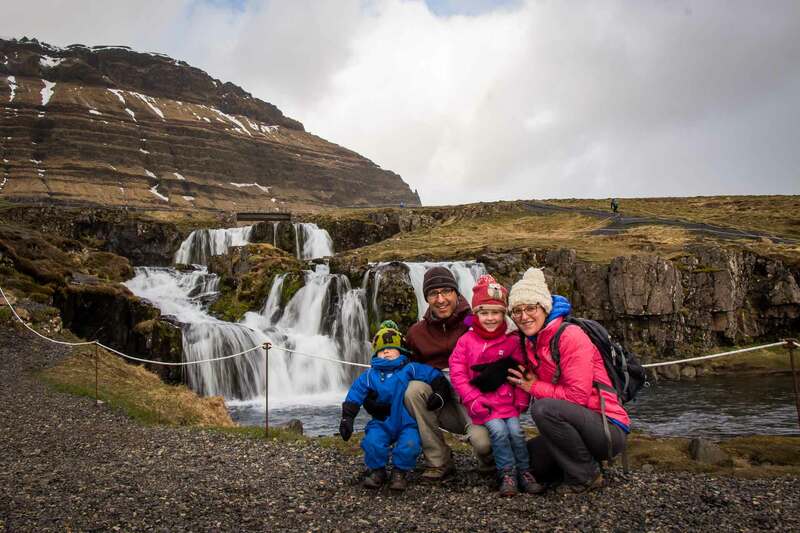 When we travel, we enjoy going for nice walks in-and-around the main tourist attractions, but we often get tired of all the crowds and we start to crave a little wilderness. A few Google searches later, and we found ourselves in Divoka Sarka, a beautiful natural area at the western edge of town. Divika Sarka is easily reached by tram. We took the #26 tram from Namesti Republiky to the Divoka Sarka stop at the end of the line. The park begins the moment you step off the tram – I love that! 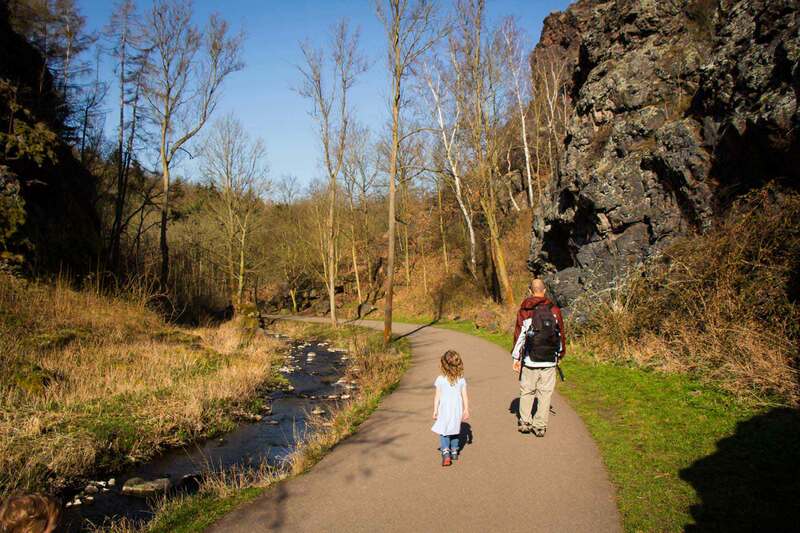 We chose to walk the park’s main trail which follows a tranquil stream through a gorge. The trail is lined with towering trees, birds singing overhead and woodpeckers pecking the trees. The stream has ducks in it and you see frogs crossing the trail. 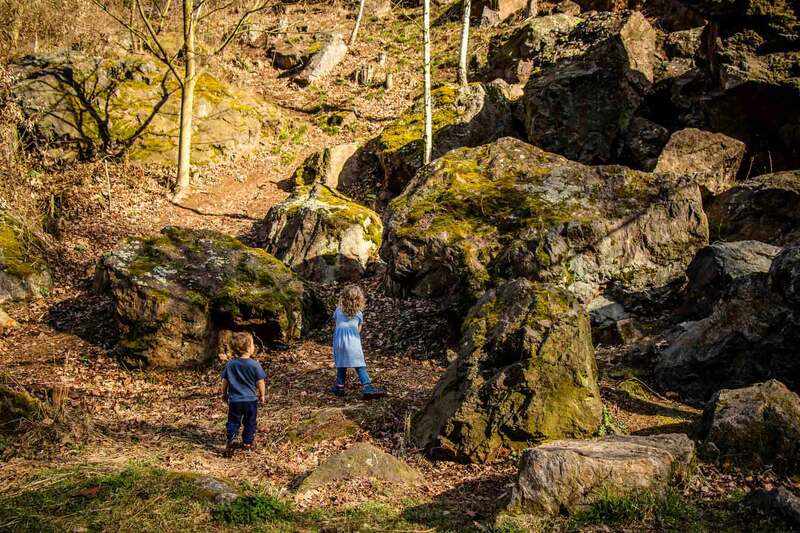 It’s really a beautiful and special area – Prague is lucky to have this wilderness in its own back yard! We hiked from the Divoka Sarka tram stop to the Nad Dzbanem tram stop and the total distance was around 3 miles (5km). It was nice to be able to do a one-way hike with no backtracking. Our kids walked about 75% of it but lost steam at the end, especially when the path became uphill. 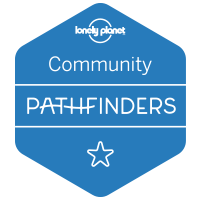 If you have a good hiking app on your phone, I’d recommend doing this hike in the reverse direction as we did. It’d be better to begin with a long downhill, followed by a gentle incline the rest of the way.